I always feel a slight pang of guilt whenever I find myself discussing the work of Stanley Kubrick. Don’t get me wrong – I have a massive amount of respect for the director. I think he’s one of the very finest cinematic minds of his generation, a very shrewd and sophisticated cinematic intelligence who carefully constructed a series of masterpieces that exemplify some of the finest aspects of the medium. However, I always feel a slight hint of shame when asked to name my favourite Stanley Kubrick film. 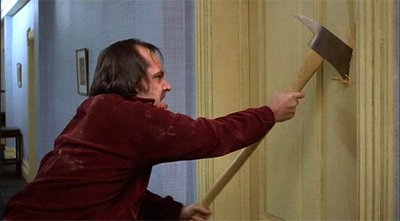 I’ll try to deflect, but if the matter is pressed I’ll answer honestly: The Shining is the Stanley Kubrick film that I love the most. It feels like a bit of a cheat, a bit of an evasion. As much as people like The Shining – and people do adore the film – I feel a pang of guilt that I immediately go to the most populist film on Kubrick’s filmography. 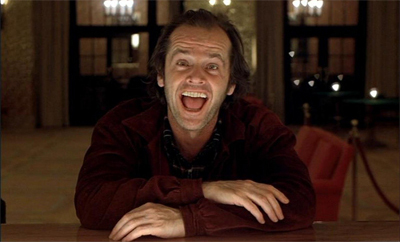 The Shining is saturated with meaning and depth, as is all of Kubrick’s work, but it seems like the most shallow or the least profound work in the Kubrick canon. And yet I love it more than Kubrick’s more philosophical, bolder, more challenging pieces of work. I feel vaguely like I’m skimping on my cinematic greens. Room 237 is an ode to cinema. Not just Stanley Kubrick’s The Shining, mind you, despite the fact that fact that Kubrick’s horror film is the focus of the film’s talking heads (or disembodied voices) discussion. No, Room 237 is a celebratory tribute to every discussion and dissection of popular film, no matter how plausible or implausible, no matter whether conducted in print, on-line or in the pub with friends. Director Rodney Ascher’s documentary is as interested in the personal lives of its subjects – where they came from, with regards to the film – as it is with their views on the film itself. In case you can’t tell, I was very taken with it.